With football season in full swing and the big game rapidly approaching, this mama is looking to score big when it comes to game day bites that satisfy all my homegating fans! 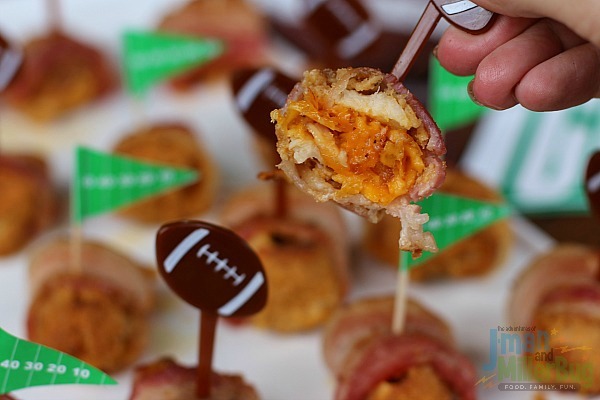 Over the past few weeks, I’ve been trying out some new recipes for the big game and while some aren’t quite making it into the homegating end zone, I have discovered a simple and delicious finger food that is always a winner in my Bacon Wrapped Chicken and Cheese Bombs! In our family, football is a game that brings us all together. Put our favorite team on the big screen and my home instantly fills with family, friends and of course teenage boys. Knowing that on game day I have plenty of big appetites to feed, I’ve been trying my hand at some out-of-the-box game day snacks. While chicken fingers have always been on our homegating must-have list, I’ve taken things to a whole new level by slicing them up, wrapping them around a cube of cheese and then adding bacon. Yes, it’s as amazing as it sounds and your next game day party is not complete without this delicious snack! So that your tailgating table can be just as awesome as mine is, I decided to share with you how to make this can’t miss finger food! In order to make this game day must-have dish, you first need all the ingredients. For me, it’s always simple to head to my local Kroger and stock up on everything I need to feed a hungry crowd! Since I can find Tyson Naturals chicken products that are raised with no antibiotics ever (look for specially marked packages) in the frozen section and Wright Brand Bacon in the refrigerated section of my local Kroger, it’s easy to whip up these Bacon Wrapped Chicken and Cheese Bombs in the most delicious way using products that are a key part of my homegating gathering! 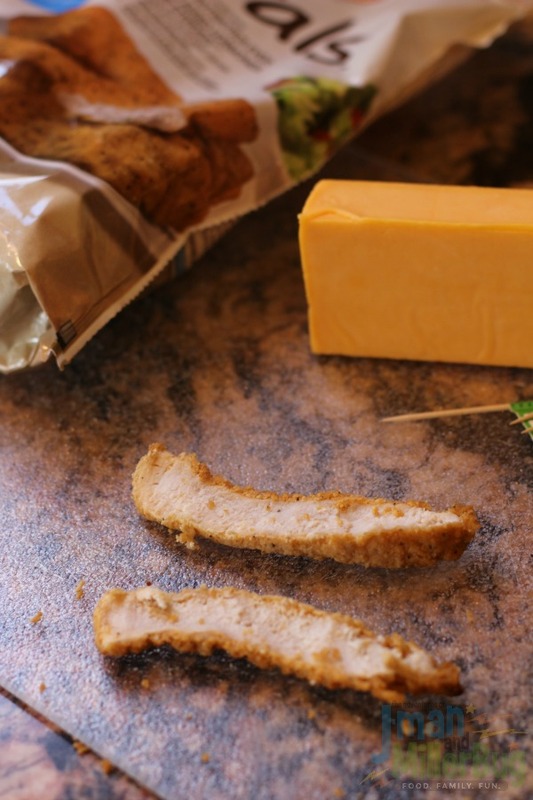 To start my big game dish, I simply defrosted my Tyson Naturals Lightly Breaded Chicken Breast Strips in the microwave until they were still slightly frozen but could be cut in half. 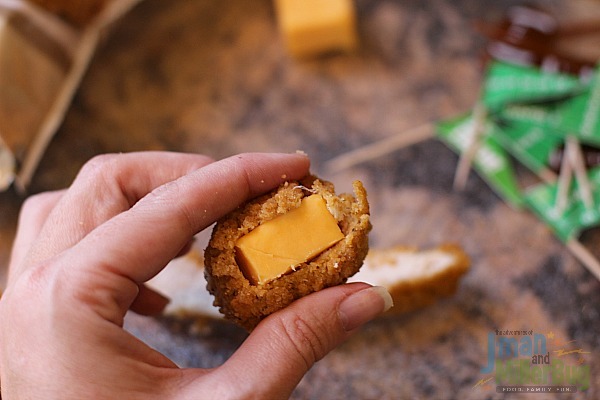 Once I had cut my Tyson Naturals Lightly Breaded Chicken Breast Strips in half, I cut up my cheese into cubes and wrapped my piece of chicken around the cube of cheese. The Tyson Naturals Lightly Breaded Chicken Breast Strips were just the perfect size to wrap all the way around my cheese cubes and as soon as I had my chicken in place, I used Wright Brand Bacon to secure it all together by rolling my chicken and cheese up into the middle of a half a piece of bacon. With my first creation ready to be placed on a baking sheet and into the oven, I repeated the process until I had prepared enough Bacon Wrapped Chicken and Cheese Bombs to feed all my hungry fans, placing them on a greased baking sheet with the seam of the bacon facing down as I prepared each one. After my Bacon Wrapped Chicken and Cheese Bombs had baked for about fifteen minutes, I switched the oven over to broil and finished crisping the bacon by letting the top of it broil for about four minutes. 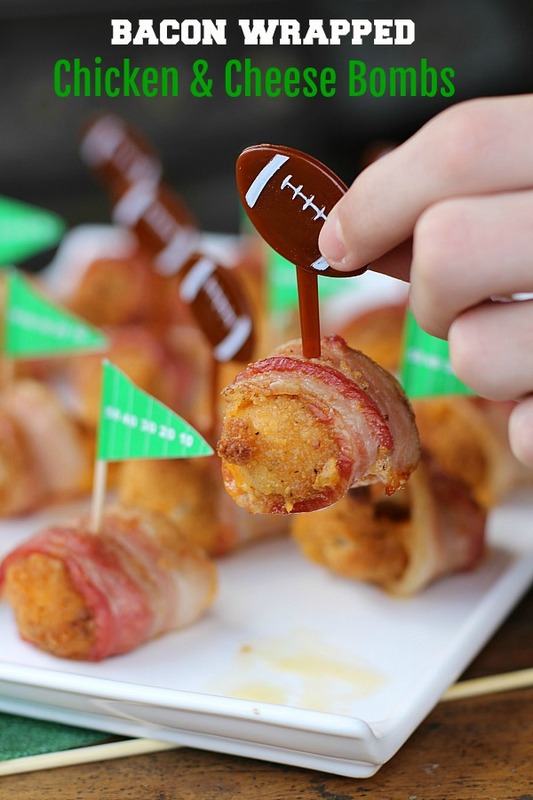 Then I removed my game day creation from the oven, let it cool slightly and then used football toothpicks to transfer each of my Bacon Wrapped Chicken and Cheese Bites to a serving platter. With my crisp Wright Brand Bacon, perfectly tender Tyson Naturals Lightly Breaded Chicken Breast Strips and ooey, gooey cheese, this is one game day dish that never lasts long! 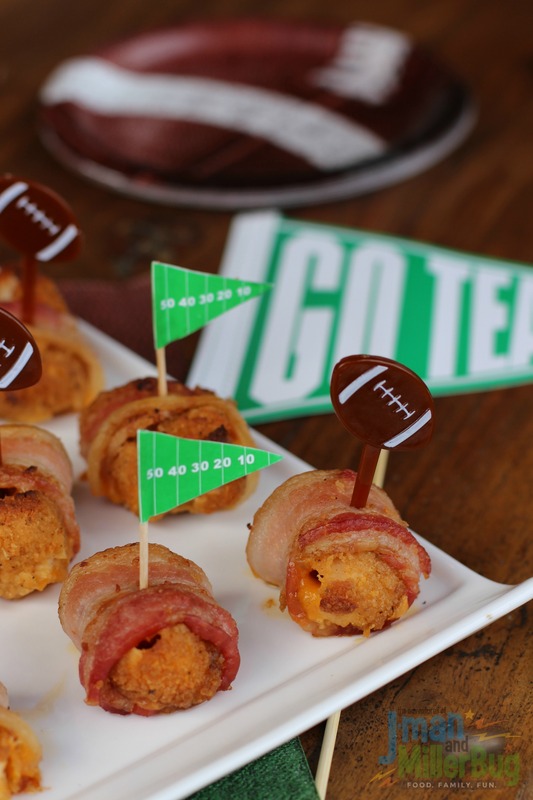 It’s a perfect finger food to enjoy while watching the big game and munching on this game day snack definitely gets my guys cheering! With each bite they take, my game day guests are guaranteed a burst of flavor that’s always delicious and just right for munching on between plays! 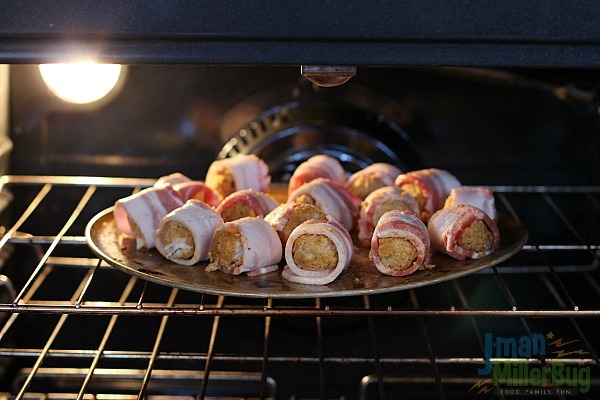 This easy to make finger food never gets old and I love that no matter how many times I make it, these Bacon Wrapped Chicken and Cheese Bombs always have my guests begging for more! Ready to whip up your own game day dish? 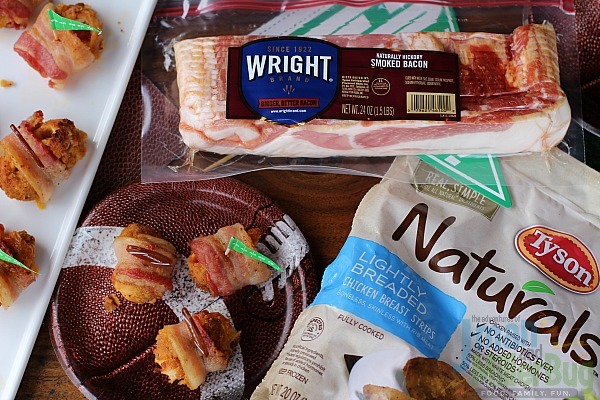 Start by heading to Kroger today to pick up game time must-have ingredients like Tyson Naturals Lightly Breaded Chicken Breast Strips (specially marked packages are raised with no antibiotics ever) and Wright Brand Bacon! 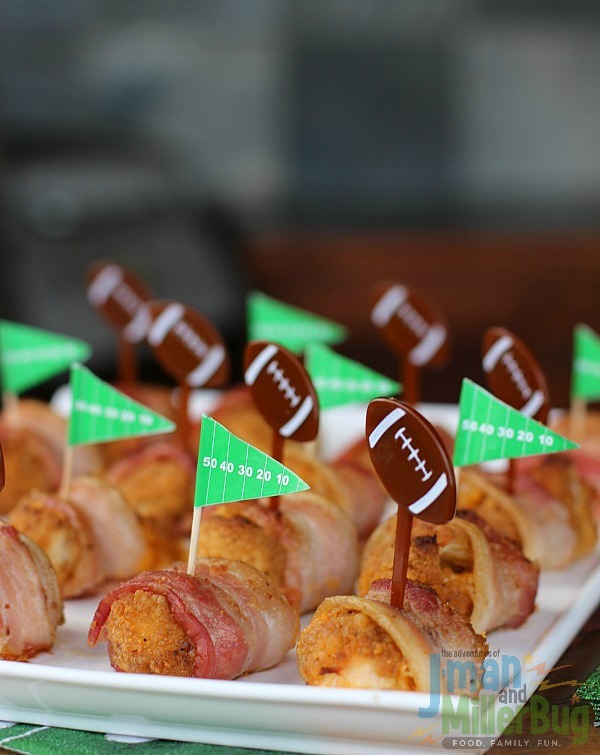 Then whip up my Bacon Wrapped Chicken and Cheese Bombs or come up with your own game day creation that is sure to have everyone cheering! Now tell me, how will you serve up Tyson Naturals Lightly Breaded Chicken Breast Strips and Wright Brand Bacon from Kroger at your game day celebration? Those look so amazing! 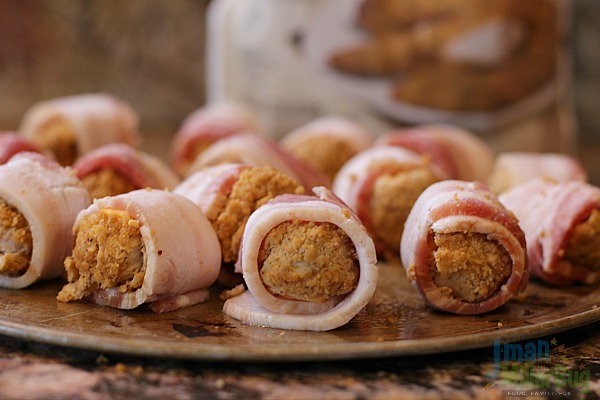 I love a cheesy bacon-wrapped appetizer in any form, and making this one with Tyson chicken is so smart. This is the kind of appetizer I love to make for game day. It’s super easy and super tasty. That’s the best combo, in my book. Well this is so creative, but easy at the same time that you can totally whip up a batch during the busyness of game day! Honestly, I might even make these tonight for dinner (we always have tyson chicken around!). With this recipe, and a couple of others I’ve seen, this year’s Super Bowl party will be a huge success! These are sure to go fast! Oh, those look so good. There is nothing better than chicken and bacon. Add in some cheese and this is the perfect app. My mouth is officially watering. At first, I saw bacon and I was like: “Yum!” Then, I saw cheese and I instantly knew that this would be a hit with my family! In our family, we believe everything is made better with bacon! I’ve seen the Tysons Naturals in the store and I’d like to try them out. 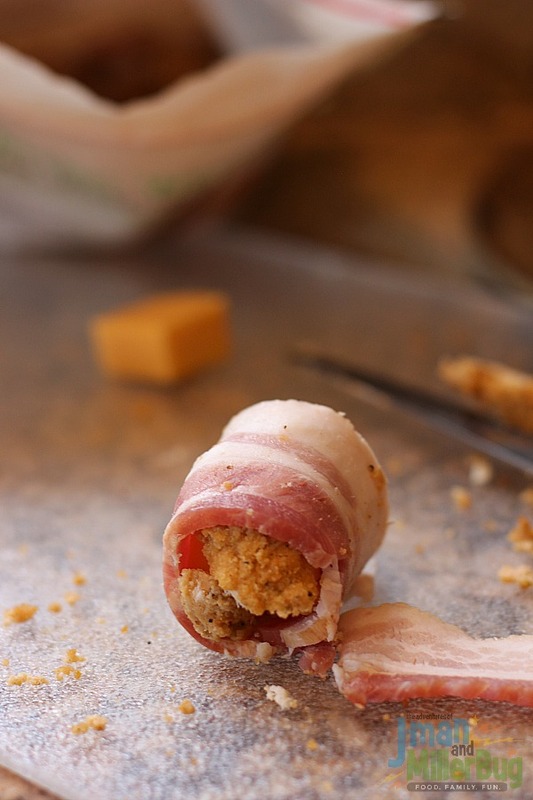 Wrapped in bacon seems like the way to go! These look so delicious! I’m a huge fan of any recipe that combines cheese and chicken, but if you add bacon that puts it over the top!!! YUMMM! This looks like a delicious snack for football Sunday! I am so trying to make this! These look mighty yummy!! I need to make them for my family for game day! This is the kind of appetizer that is perfect for game day. It’s super easy and soooo tasty. Love it! You had me at bacon-wrapped. Holy goodness, these look amazing. They would go over really well at our game get togethers for sure! Yum! Perfect for a party or just as a weekend snack. I love anything with bacon so I’d eat these up quick. These look amazing! I love anything that has cheese so when you had me at cheese bombs and then you add in chicken and I am drolling. I have to try these and I think they would be perfect for a party or gathering of lots of people. I think everyone will like it! Oh my goodness, I could probably eat every single one of these. 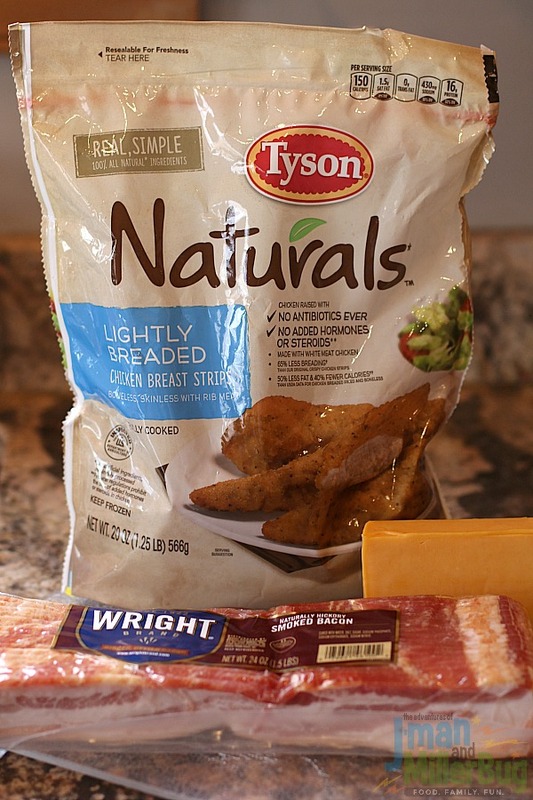 Tyson Naturals chicken products are my favorite chicken option and wrapped in bacon makes it even more drool-worthy. We sure go through appetizers on game night. My daughter loves anything with bacon and cheese. She will absolutely love this! Oh man, those sound so good! I really miss Tyson chicken. They don’t sell it up here but it’s oh so tasty! These look like so much fun to make and eat! My cheese loving self is loving the cheese hidden inside.